Private Duty Services for All! In order to be appropriate for home care services of all types, patients must be able to care for themselves or have primary caregivers who can meet patients’ needs in between visits from professional staff from home care providers. This requirement is necessary in order to meet the eligibility of many payors, to avoid risk of legal liability and to help ensure quality of care. Patients’ family members or others may be willing to serve as primary caregivers on a voluntary basis. If not, providers should offer patients and/or their family members the option to pay privately for primary caregivers. These services may be referred to as private duty or non-medical services. The option to pay for private duty home care services should be offered to all patients who cannot care for themselves and who have no voluntary primary caregivers. Patients who can care for themselves or have voluntary primary caregivers may also wish to contract for additional assistance, so providers should offer this option to all patients who may benefit from these services. Hospital discharge planners/case managers should offer private duty services to all patients who may benefit from them and assist patients to arrange for such services post-discharge as part of the discharge planning process. Other types of institutional providers; such as skilled nursing facilities (SNFs), Long Term Acute Care Hospitals (LTACHs), and independent rehabilitation facilities (IRFs); should also offer patients who are being discharged the option to arrange for assistance from private duty agencies and should arrange for such services post-discharge. Assisted living facilities (ALFs) should offer private duty services to all of their patients who may benefit from such services. Home health agencies should offer patients the option to private pay for services if primary caregivers are no longer available to provide assistance and if patients no longer meet the eligibility requirements of payor sources. Home health agencies, hospices and home medical equipment (HME) companies should educate patients about private duty services even though patients may have voluntary caregivers and help patients and their families arrange for these services. Providers may be reluctant to offer these services to patients and their families because of their cost. They may also erroneously conclude that patients and their families cannot afford them. Providers should not jump to conclusions about who can afford these services. Instead, private duty home care services should be offered to all patients and their family members who may benefit from them. A home health agency, for example, decided that a patient no longer met the eligibility requirements of the Medicare Program. The staff of the agency was reluctant to offer the patient the option to private pay for additional services prior to discharge because the patient lived in a “shack” and drove an old, beat-up truck. They did so anyway. To the staff’s surprise, upon receipt of the offer, the patient got out of bed, extracted a wad of cash from under the mattress and told the staff that there was plenty more money to pay for private duty services! Private duty care has a very important role to play in the provision of home care services. This type of care should be offered to all patients whenever it seems that patients may benefit from it. 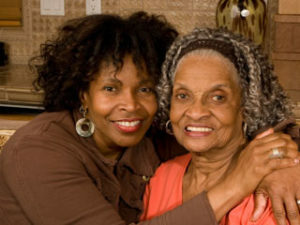 Well Beyond Care is the only company that teaches families and individuals how to find and manage affordable non-medical in-home care, while solving the chronic problems of caregiver truancy and turnover through the web application,a href=”http://wellbeyondcare.com”>WellBeyondCare.com. The Company’s platform combines the power of the internet with the personal touch of nurses to offer families a pathway to transitional care, allowing our elderly parents to safely age-in-place. Their solution lowers stress in hiring a caregiver and saves families tens of thousands of dollars per year in care costs. Is it true that hospital discharge planners are prohibited from recommending post-acute providers to patients based on applicable federal requirements? The answer is a resounding NO! The basis for the remarks of members of the staff at MedPAC seems to be Conditions of Participation (CoPs) of the Medicare Program that establish requirements for hospital discharge planning. Specifically, 42 CFR 482.43(7) says that hospitals must not specify or otherwise limit the qualified providers that are available to patients. But making recommendations to patients about post-acute providers while emphasizing patients’ right to choose providers does not necessarily entail “specifying” or “otherwise limiting” the providers available to patients. In fact, such discussions seem to be required by applicable national standards of care the Case Management Society of America and sanctioned by the Centers for Medicare and Medicaid Services (CMS). Prohibiting these types of discussions also has practical implications for patients and their families. Specifically, the Case Management Society of America (CMSA) first published Standards governing the practice of case management, including hospital discharge planners/case managers, in 1995. The Standards were revised in 2002, 2010 and 2016. Among other requirements, these standards require case managers to advocate on behalf of patients, including provision of assistance with making decisions about their care. Finally, anecdotally, hospital discharge planners/case managers often report that patients are unable to choose post-acute providers when lists are presented to them. In light of MedPAC’s comments above, it sounds like discharge planners/case managers are unable to provide assistance to patients except perhaps to hand them the equivalent of a copy of the yellow pages! From a practical point of view, this dog will not hunt! In fact, the “heart” of the discharge planning process includes recommendations from discharge planners/case managers about the best choices for patients. Patients are, of course, free to reject these recommendations. Case management/discharge planning activities are at the heart of our healthcare delivery system. These crucial activities are finally receiving the recognition and “due” that they deserve. They should not be mischaracterized! Well Beyond Care is the only company that teaches families and individuals how to find and manage affordable non-medical in-home care, while solving the chronic problems of caregiver truancy and turnover through the web application, WellBeyondCare.com. The Company’s platform combines the power of the internet with the personal touch of nurses to offer families a pathway to transitional care, allowing our elderly parents to safely age-in-place. Their solution lowers stress in hiring a caregiver and saves families tens of thousands of dollars per year in care costs.